9/1 International Accumulator Lands on Saturday! It has been a brilliant week here at FST! After landing a 11/1 NHL Accumulator and Double on Wednesday, our football analysts have added to the winners with a 9/1 International Accumulator Landing on Saturday evening! The first leg of the Acca got underway at 17:00 with Sweden taking on Romania at home, we needed the Swedes to get their Euro 2020 Qualifying campaign off to a good start with a win at the Friends Arena. The game didn’t start off with many chances but it was Sweden who controlled the position and were getting in dangerous areas, in the 30th minute their perseverance was rewarded when Quaison put the side ahead. With confidence injected into the Swedes it didn’t take them long to get another with Claesson adding to the scoreline 7 minutes later to see the Swedes go 2-0 up as they entered the half time break. 13 minutes into the second half we were given a set back when substitute Keseru made an instant impact getting Romania a goal back however fortunately for us Sweden were able to see the game out and see our Acca progress to the late kick offs. Our second leg took us to the Rheinpark Stadion in Liechtenstein where we needed Greece to punish their opponents awful form to claim a victory. Greece showed they were the better side from the first whistle dominating the possession and chances but as we headed into half time we wasn’t sure they could find a goal but 1 minute into the added time Fortounis put Greece a goal to the good ready for them to push on in the second half. Much like the first half although the chances were being created for the away side the goals weren’t coming – not until Mitroglou finally put the game to bed for Greece finding the net in the 80th minute to help secure a 2-0 win! Finland entered their match against Italy only having won 2 of their last 5 games, with Italy only having lost 1 of their last 5 we was confident they would pick up a crucial win at the Dacia Arena. The Italians didn’t take long to show their strength either opening the scoring in the 7th minute through Barella who gifted the home side some breathing space to begin to impose their style of football. Much like the previous leg Italy continued to dominate the game but despite their dominance they was unable to convert many shots on target, not until the 74th minute when 19 year old Kean got his first goal for his country to put the Italians 2-0 up and ultimately see off the game. Bosnia faced a tricky Armenia side in the 4th league which featured Arsenal’s Mkhitaryan, however we had faith in Bosnia’s strength to see them pick up a victory at home. Their quality showed throughout the game with them managing 65% of the possession which helped gift them chances, one of the most important in the 33rd minute where Krunic opened the scoring for the home side and saw them go into half time a goal to the good. Similar to the Greece game, the second goal took a while to come but in the 80th minute a substitute once again rose to the task putting the home side 2-0 up! Although their was a late penalty score with Armenia pulling back a goal, it was too late and Bosnia took our Acca onto it’s final leg! Spain were one of the biggest favourites in the evenings fixture and whilst we predicted them to pick up the win we also needed Norway to get a goal, the first half was a dominant one with Spain averaging a shot nearly every 4 minutes! In the 16th minute they got their first goal through Rodrigo after a classy Spanish move. Although they created lots of opportunities they were unable to take another before half time. In the second half many expected Spain to get the next goal but after a challenge from Martinez, Norway were awarded a penalty which Bournemouth’s Josh King made sure to convert. 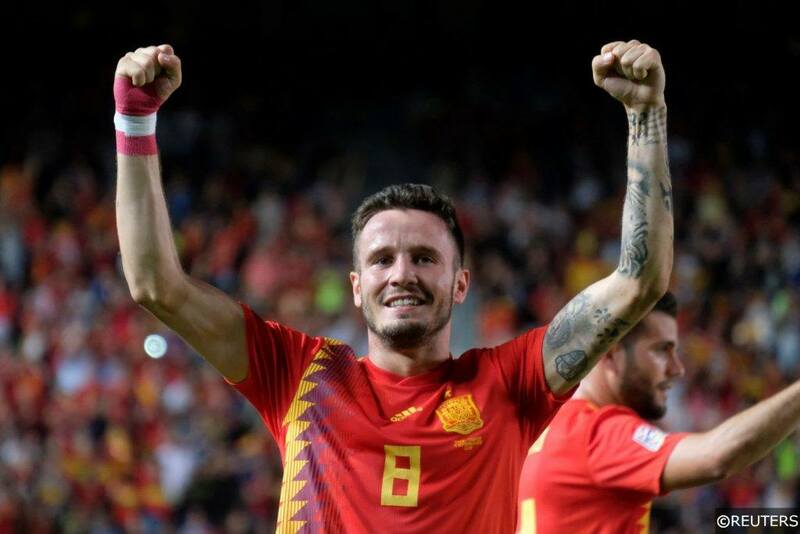 With 25 minutes remaining we needed a Spain goal to win our Acca and it was in the 71st minute we got our golden opportunity with Spain being awarded a penalty which captain Sergio Ramos converted to land our 9/1 International Acca! Be sure to bookmark our Free Football Tips page of the FST website in order to be on the next winner! Tips go live at 10 pm every night! Categories: Football and Tip Results. Sports: Football.